This week I’ve been working on some adorable new letter recognition worksheets for my preschooler. He loves it when I make worksheets that are his level. In fact, he and his best friend ask me to print them off so they can work on them for their play dates. 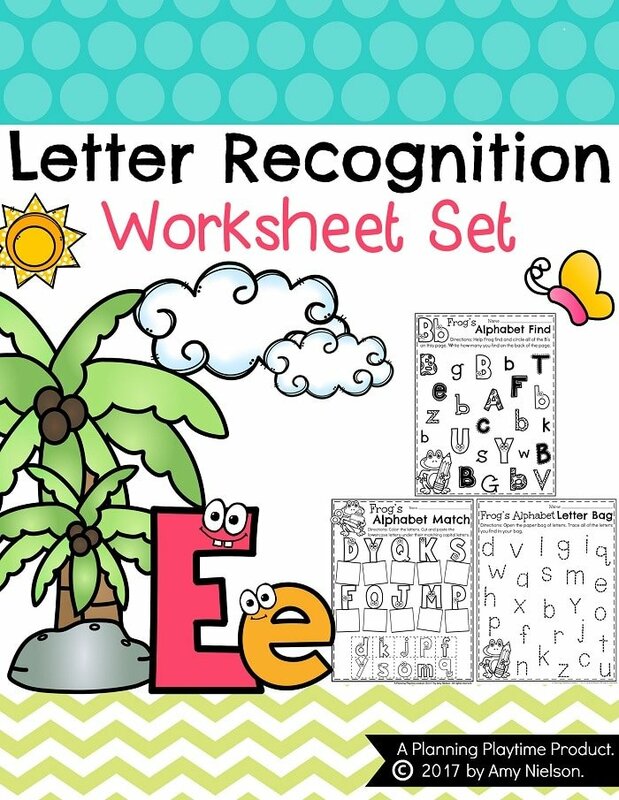 These worksheets are a great combination of activities to help teach preschoolers and kindergartners letter recognition. The worksheets cover several different angles. First, basic letter recognition. Then letter tracing, and finally, capital and lowercase letter matching. There is some coloring happening. There is some letter tracing, and then there is cutting and pasting. Most of the worksheets in this set are No Prep, ready to print and go printables. 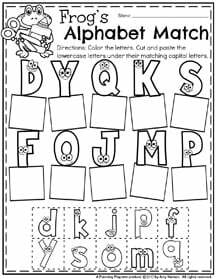 However, 4 of the worksheets were created to be a fun alphabet grab bag centers activity. Take a look at the worksheets, and I’ll give you a FREE one at the end. There is a letter find for each letter of the alphabet. 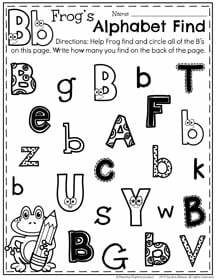 The children must search the page to find and circle all of the capital and lowercase letters that match the focus letter. 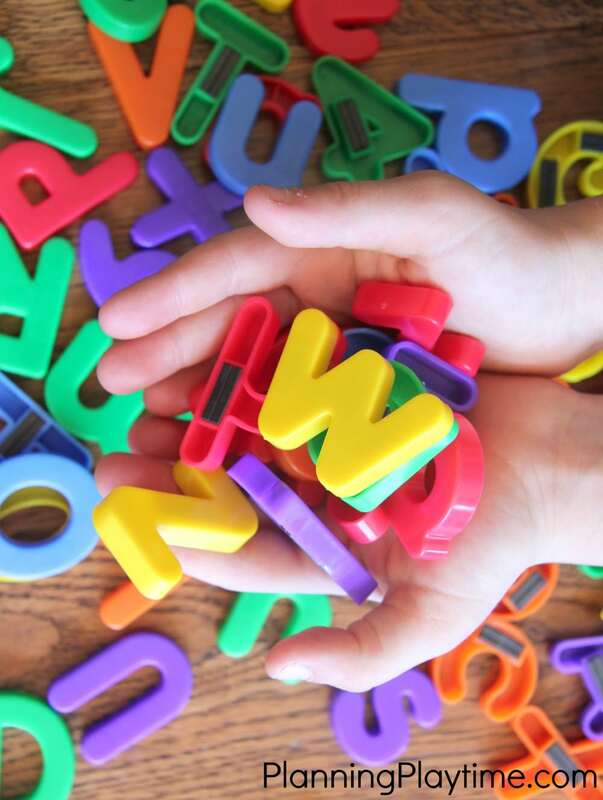 The letters come in fun fonts and different sizes for a fun search and find activity. 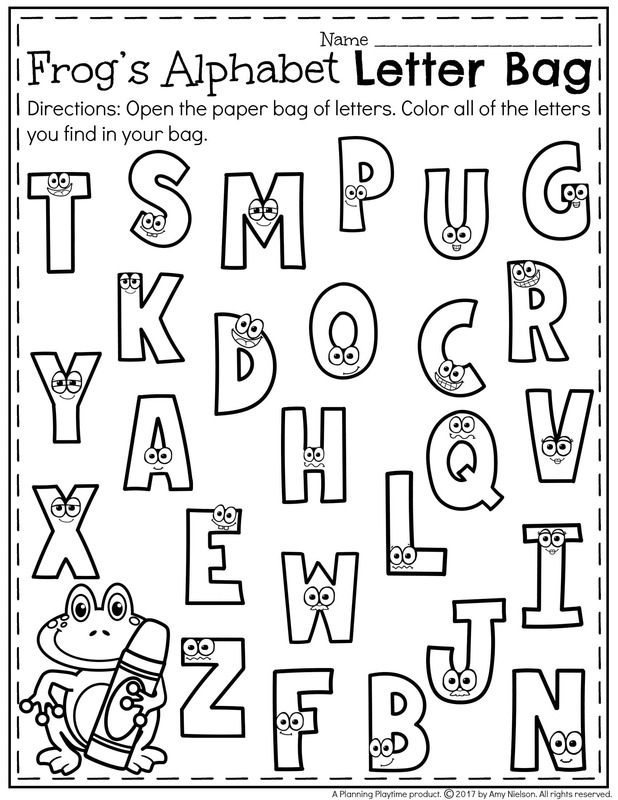 For these pages the kids will get to color fun block letters with cute faces. Then they can cut and paste the lowercase letter under it’s matching capital letter. For this activity, place 5-10 letter magnets or cards in a brown paper sack. 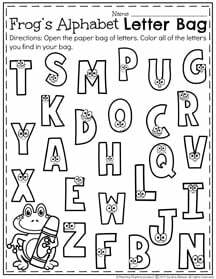 The children must open up the bag, pull out the letters, and find the matching letter on their paper. They then color all of the letters from their grab bag. There is one page for capital letters and one page for lowercase letters. You can print as many copies as you need for separate grab bags. Similar to the activity above, place 5-10 letter magnets or cards in a brown paper sack. 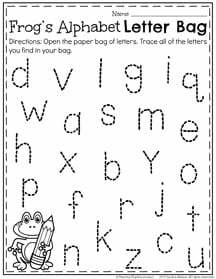 The children must open up the bag, pull out the letters, and find the matching letter on their paper. They then trace all of the letters from their grab bag. This activity also includes a capital and lowercase worksheet so that you can focus on whatever you are working on. Would you like to try one out for FREE? *Clipart for this freebie contributed by Whimsy Workshop Teaching and Marcelle’s KG Zone. 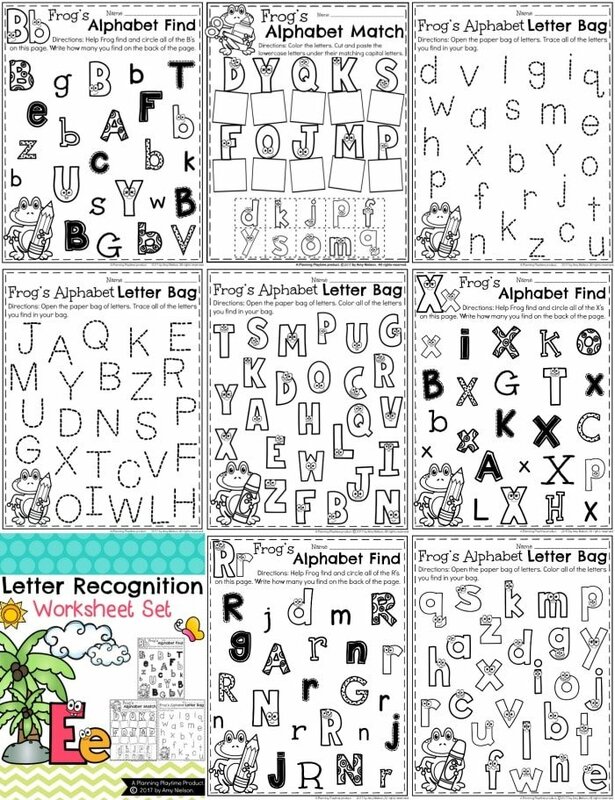 Thank you for checking out these fun letter recognition worksheets. I hope you find them engaging and helpful in your classrooms and with your preschoolers. Have fun learning letters! *This post may contain affiliate links. Affiliate links are a great way for us to show you awesome products we love. The best part is, when you buy something you need through an affiliate link, they give us a small cut (at no extra cost to you) which helps us keep this blog running. 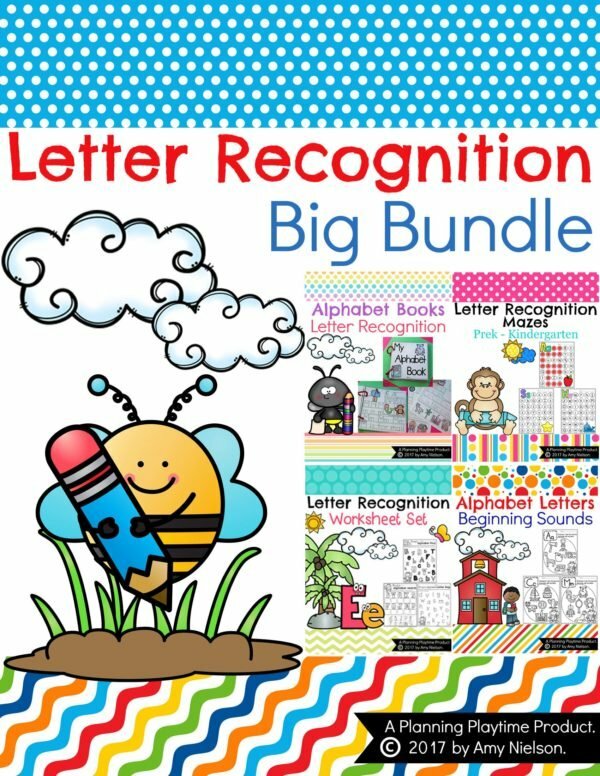 SAVE BIG $$ When you buy the Letter Recognition Bundle!! Thanks, My kids will love this activity!